Licensed to practice law in the State of Texas. Admitted to practice before the United States District Court for the Southern, Western, Northern & Eastern Districts of Texas. Admitted to practice before the United States Court of Appeals, Fifth Circuit. Vast experience in bankruptcy law, having represented creditors, creditors committees, trustees, and debtors in hundreds of cases across the country, including several mega-cases. Commercial litigation experience comes from successful representation of billion dollar corporations, insurance companies, banks, and savings and loan companies. 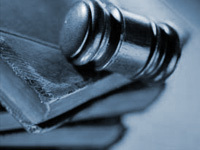 Has represented both plaintiffs and defendants in non-jury and jury cases. Collections in excess of Three Hundred Million Dollars ($300,000,000.00).